. . . But only by the hair of his chinny-chin-chin. This is a lightweight followup to the previous post, more a case of fun speculation than sober historical inquiry. But as long as we stipulate that right at the beginning, it's no harm, no foul. 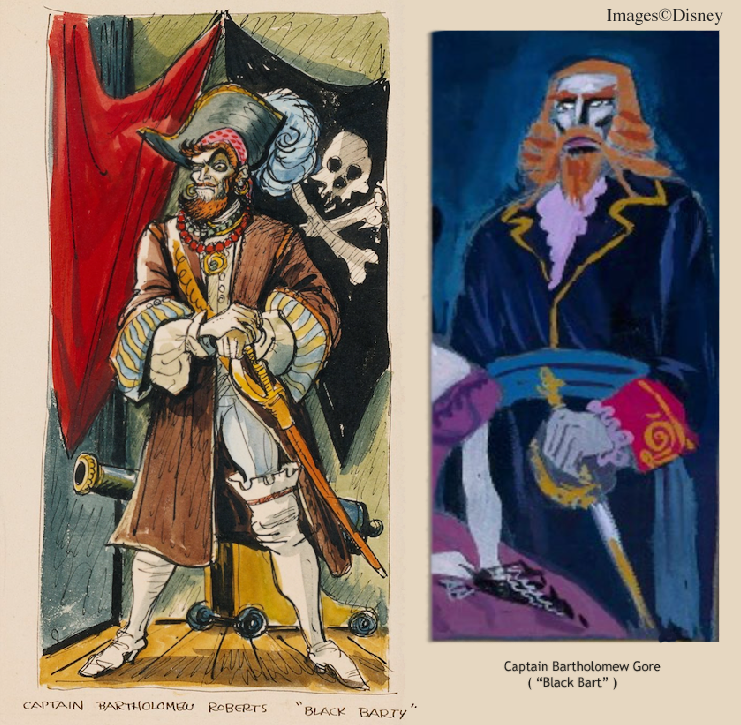 Now that we have learned anew that the ultimate roots of Pirates of the Caribbean and the Haunted Mansion are intertwined, it may be of interest to note that both Ken Anderson and Marc Davis invoked the ghost of a real pirate, Captain Bartholomew Roberts, while working on their respective projects. You can read up on Roberts here if you don't know much about him. 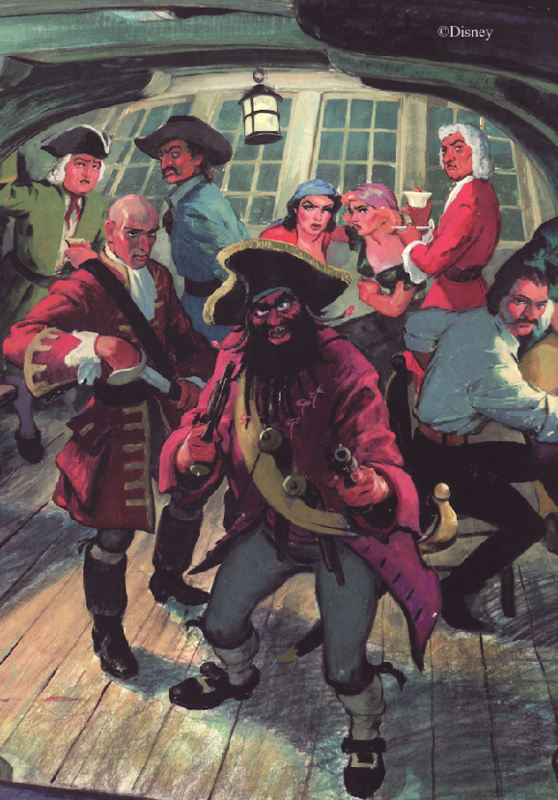 If his name is not as instantly familiar as Blackbeard's or Captain Kidd's, it's probably because Roberts makes few appearances in classic books and movies, the seedbeds of pop culture. 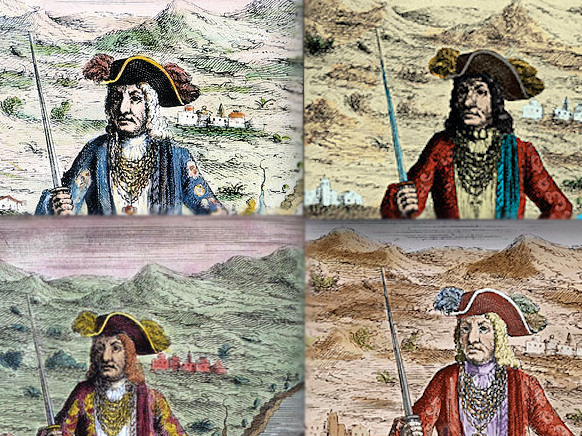 Objectively speaking, however, Roberts was arguably the single most successful pirate of the 17th-18th century "golden age of piracy." 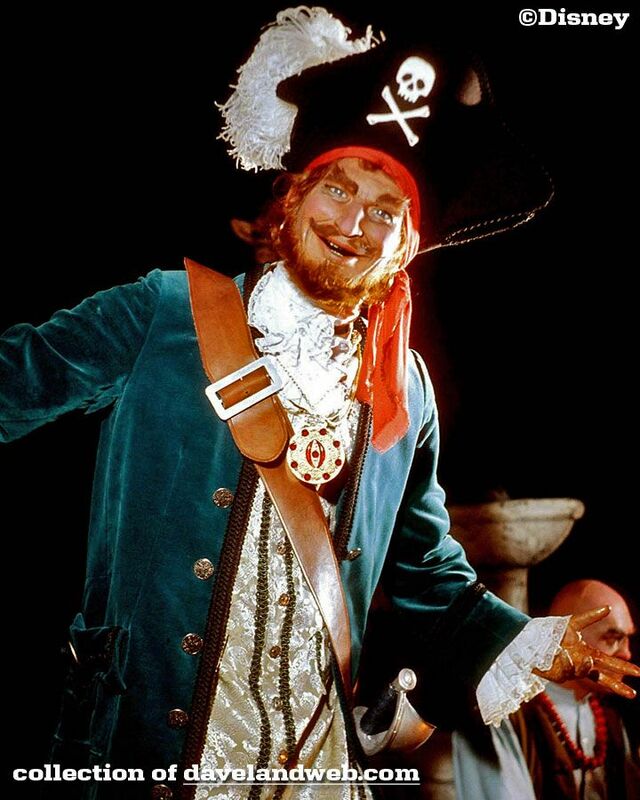 Pirate aficionados, of course, know all about him, and he does get a belated (if obscure) notice in The Princess Bride, where the "dread pirate Roberts" is clearly a nod to Captain B. 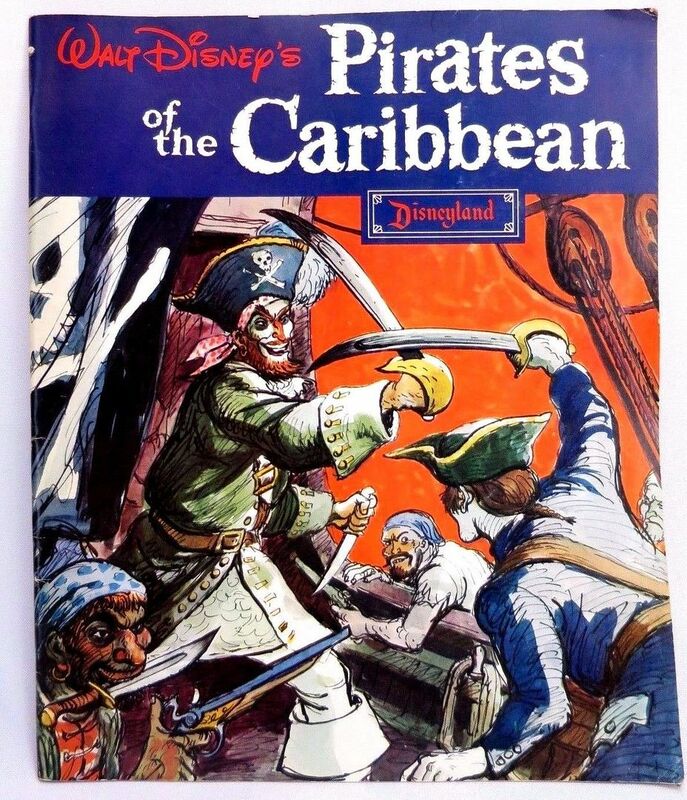 As we were reminded last time, Ken Anderson's first backstory attempt for what would eventually be the Haunted Mansion assigned ownership of the house to "Captain Bartholomew Gore," whose nickname in his alter-ego existence as a pirate was "Black Bart." 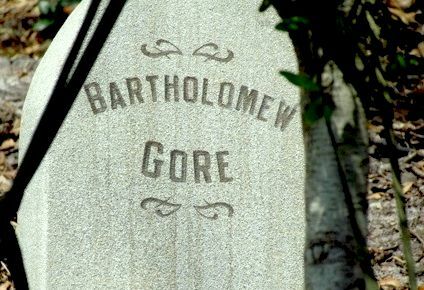 That was also Bartholomew Roberts' nickname, so there is no doubt that Roberts served as the immediate inspiration for Gore. Flash forward five years, from 1957 to 1962. 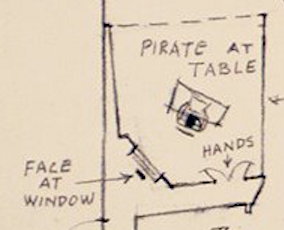 We look at Marc Davis's desk and see preliminary plans for a pirate attraction at Disneyland. 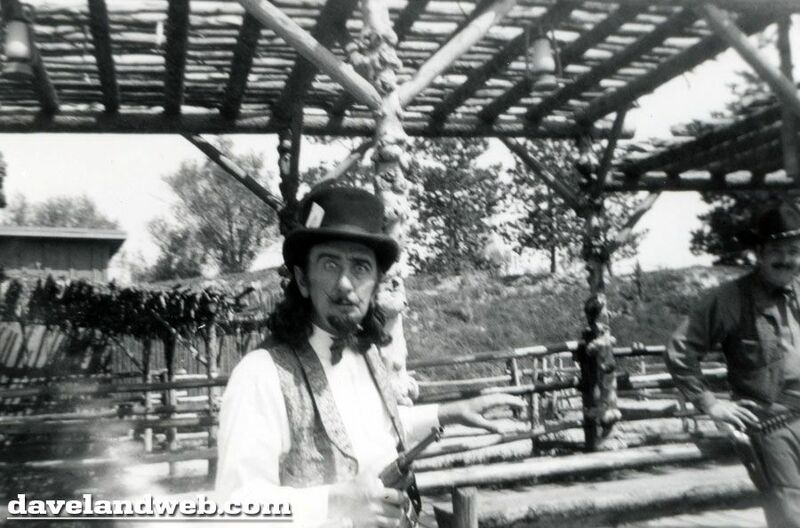 Originally, it was going to be a walk-thru wax museum featuring real-world pirates, including Bartholomew Roberts. 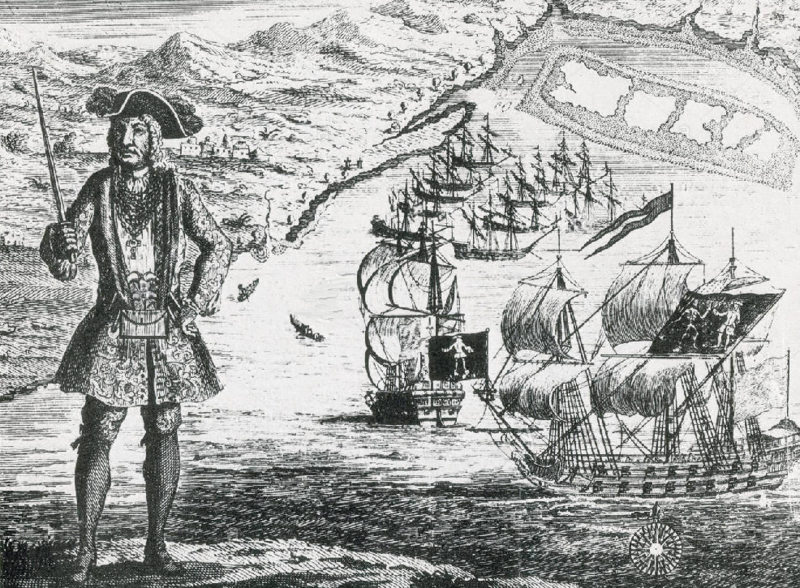 In similar fashion, Anderson may have changed the name of his Captain Gore from "Black Bart" to "Blackbeard." That's Gore's pirate name in the backstory summary found in Mumford and Gordon's The Nickel Tour (Camphor Tree Pub: 2000; p 262). However, one suspects that this may simply be an error. 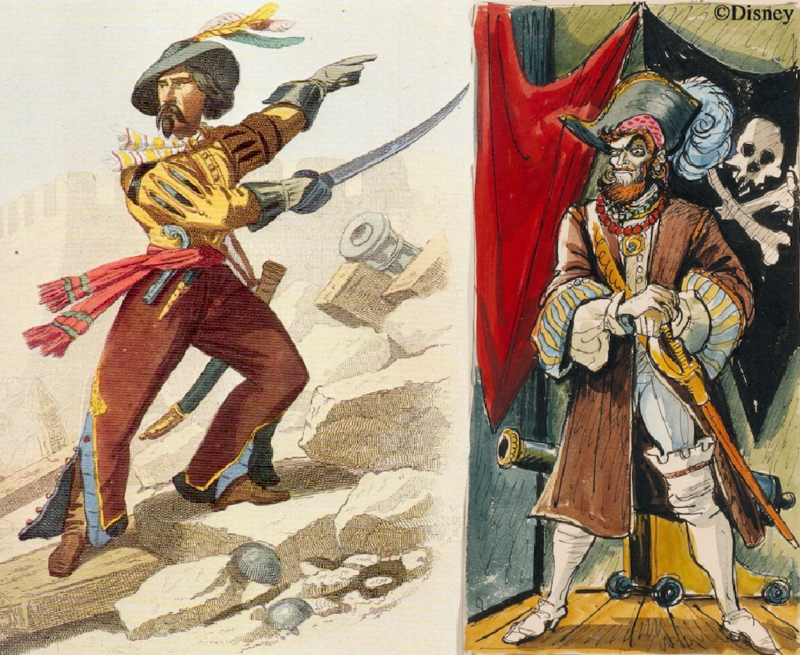 At any rate, it is curious that at least one and maybe both of these Imagineers saw fit to alter the name "Black Bart." 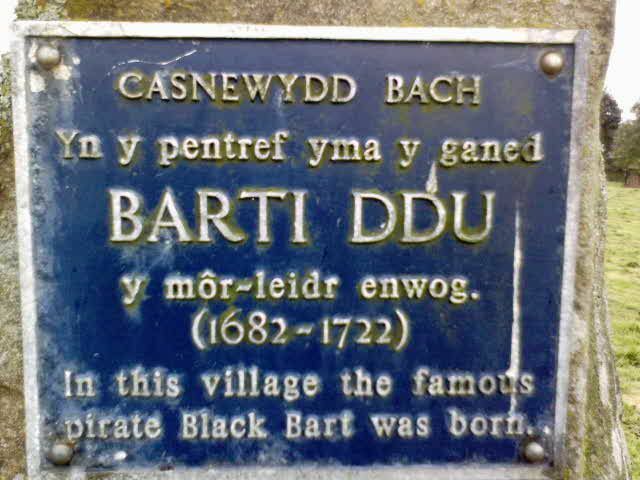 Perhaps this was done in order to avoid any potential confusion with the western villain Black Bart, who was already prancing around the streets of Frontierland in 1957 and noisily shooting it out with the good guys. 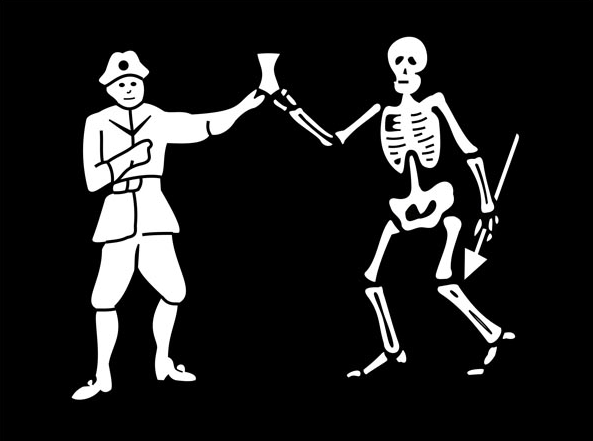 The first question before us today is whether Marc's "Black Barty" owes anything to Ken's Captain Gore as an inspiration. That would be a fun connection, no? It all comes down to a singular coincidence and what you choose to make of it. Ken Anderson painted his Captain Gore at least twice . . .
. . . and it will be noted that one of his most conspicuous features is his flaming red hair (actually orange), including a pointed red beard. 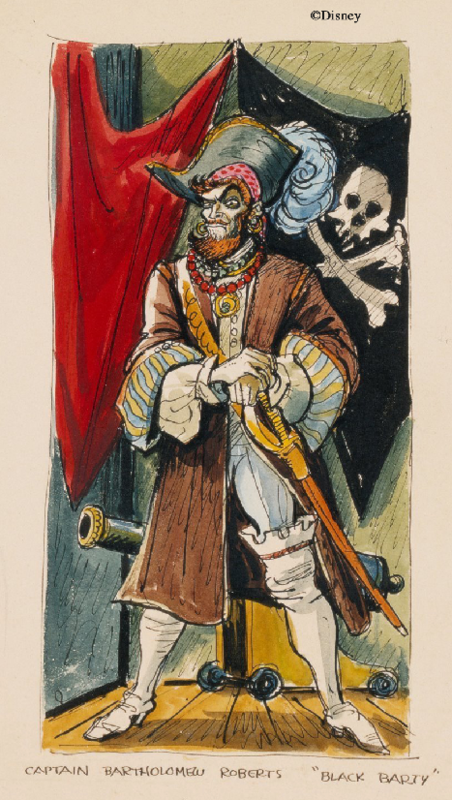 As it happens, Marc Davis's "Black Barty" version of Bartholomew Roberts also has a pointed red beard. Forgottenistas, this is going to be one of those cases where the journey is far more interesting than the destination. 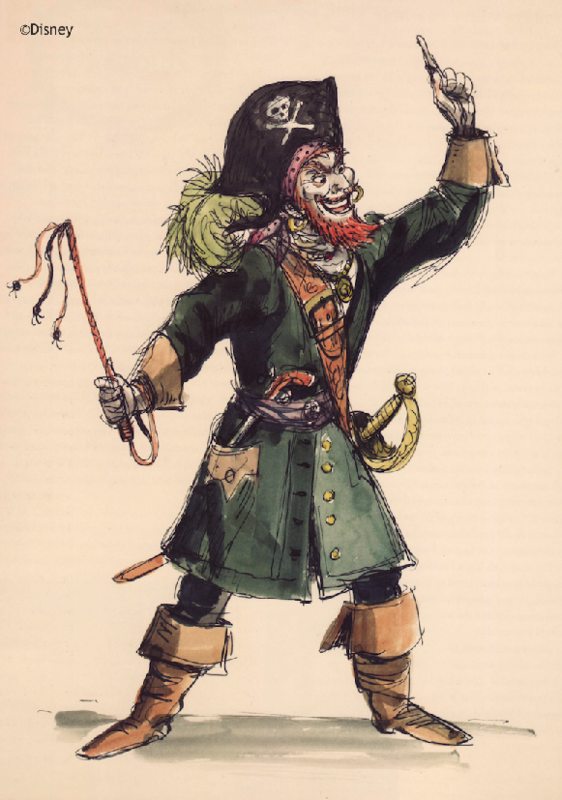 The goal is to determine whether Davis could have gotten his orange beard for Roberts somewhere other than in Anderson's earlier reimagining of the same pirate. The first and simplest option is to put it down to sheer coincidence, which is certainly possible, and in that case, sadly, the post is over for you. Turning now to the rest of you, what we need to find out is whether Roberts did indeed have a red beard or at least was commonly depicted as having one. If he did, then it's a case of Marc and Ken simply taking their visual cues from a common source. 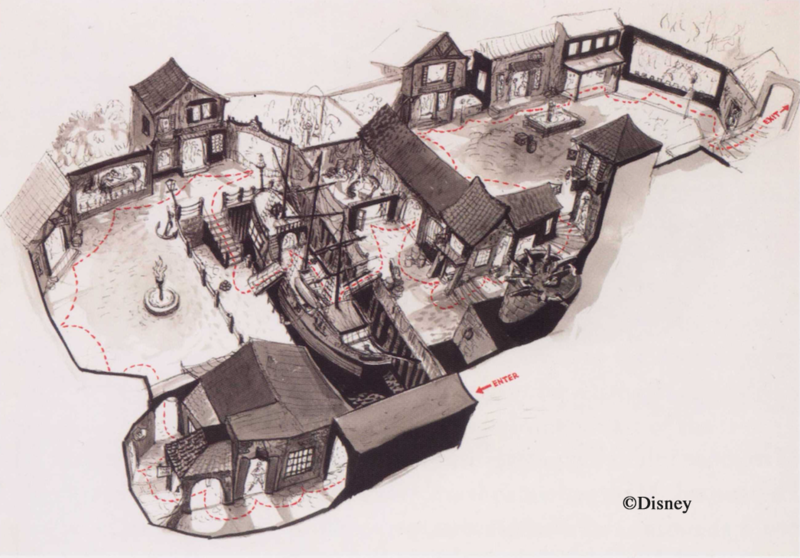 At this point Davis was still in the "famous pirates of history" mode and would likely have done some research into Roberts before coming up with his own rendition, however "cartoony." 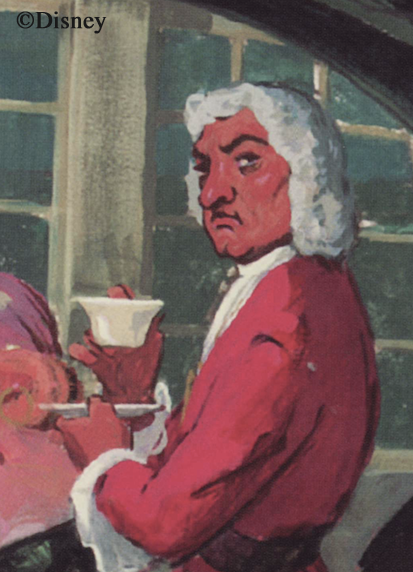 One modern depiction does give him a handlebar mustache . . . 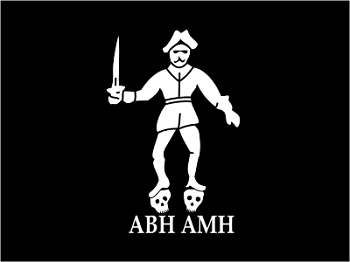 But in a later flag (he had two), he has sprouted a mustache. Kudos to the stamp artist for picking up on it. 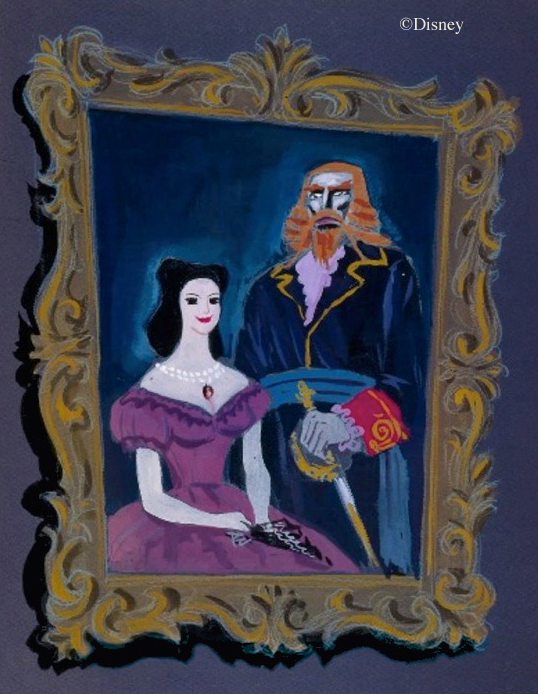 In another illustration far too late to be taken seriously as a historically accurate portrait, Roberts has facial hair . . . The similarity is not in the design (obviously) but in the color palette. Look at those deep yellows, those browns. 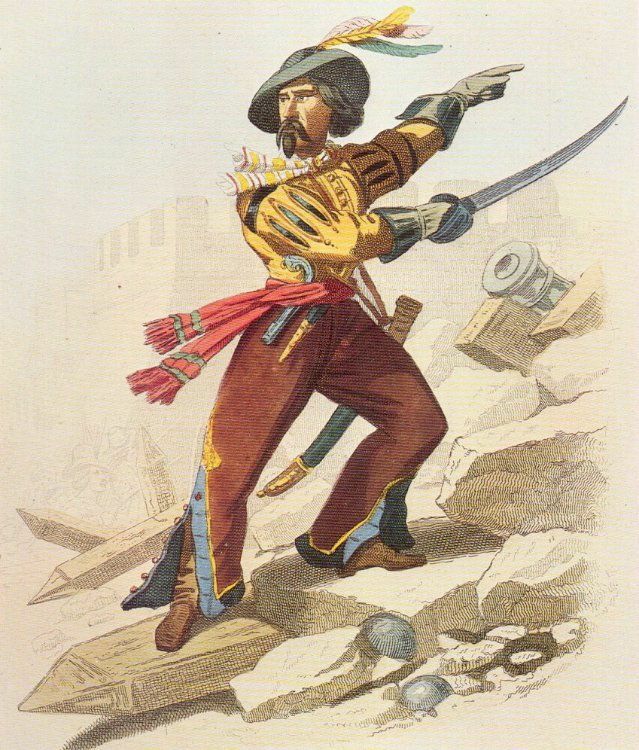 Look at the blue-and-yellow highlights on the sleeves of Davis's pirate and the blue-and-yellow highlights on the other pirate's upper sleeves and pants. Green-gray cannons. The pink-and-red of the sash on the one side and the headscarf on the other. The hats! Look at the hats. We've known for a long time that Davis borrowed freely from sources uncovered during his researches . . .
. . . but this is the first time I've noticed him borrowing a color palette and little else. (See, I told you the journey was more fun than the goal.) It is interesting, then, that he rejected the dark beard in favor of a red one. 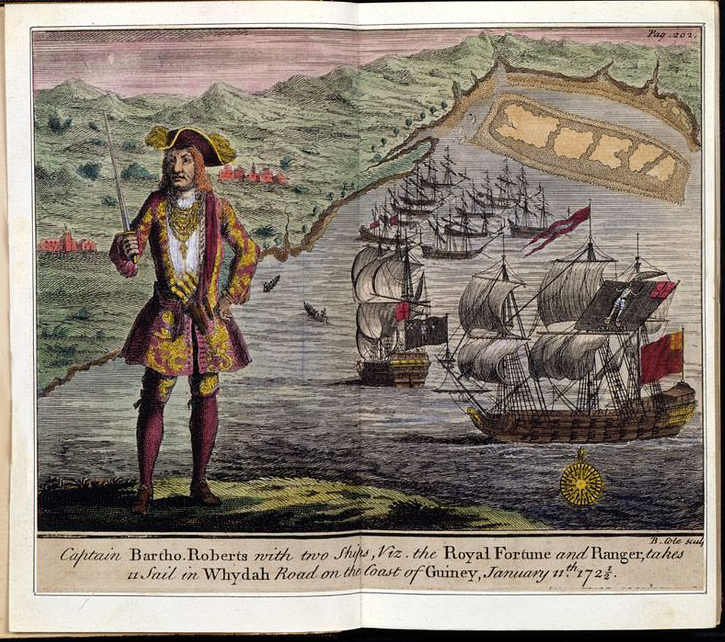 The best-known portrait of Roberts is a copper engraving by Benjamin Cole that appeared in Charles Johnson's A History of the Pyrates (1724), which is THE historical source for much of what we know about the "golden age." 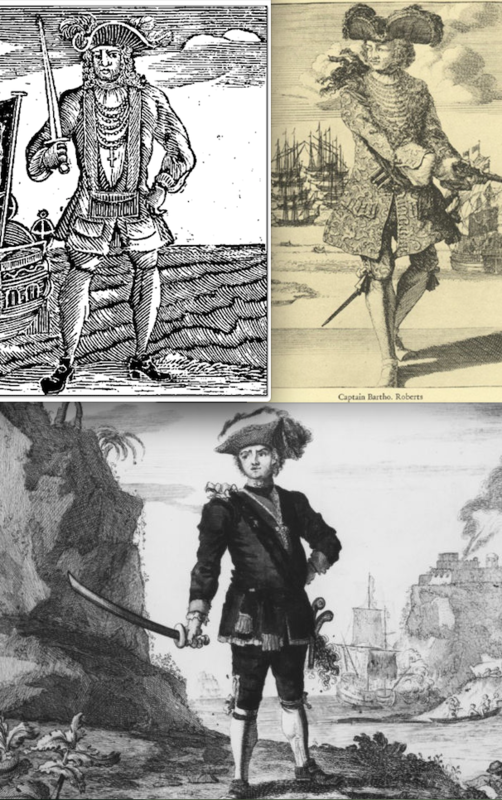 As you can see, in at least one edition of Pyrates, Roberts has reddish hair, and it could be this popular reprint that gave Davis (and possibly even Anderson) the notion of depicting Roberts with hair that shade. But even if we allow that, it still leaves the beard unexplained. What seems safe to say is that Davis did not pick up the pointed red beard from his research into the historical Roberts. 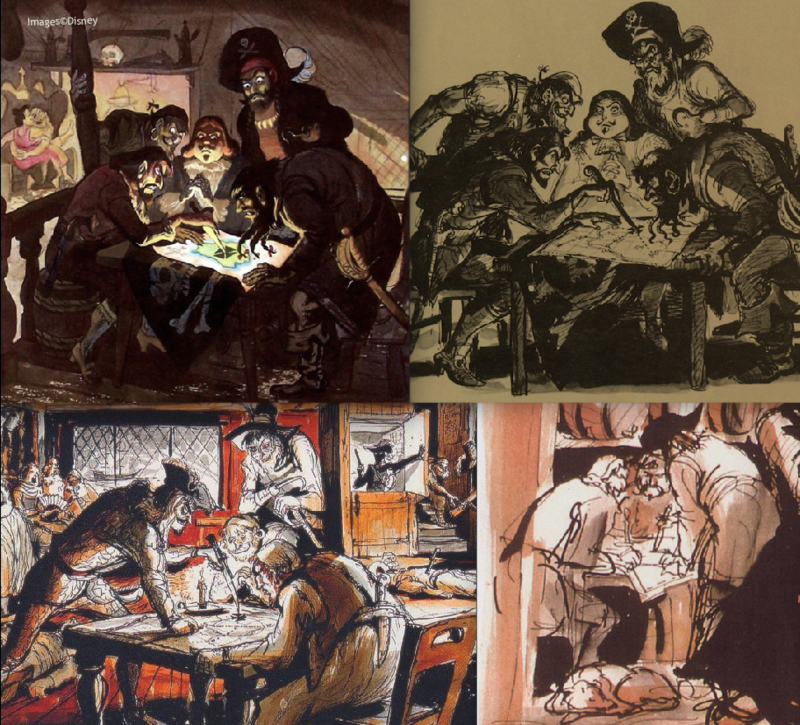 He either (1) came up with it on his own, or he (2) picked it up consciously or unconsciously from Anderson's version of Roberts in the person of Captain Gore. There, now you have the evidence. Decide for yourself. 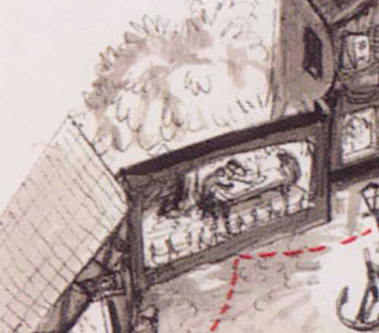 But before that he had already been reimagined as one of the ride's most popular characters: the Auctioneer! 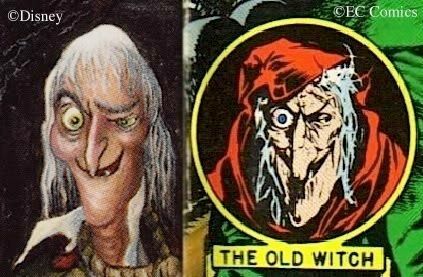 En route to the final audio-animatronic figure, the beard's garish orange was darkened and toned down a bit, but make no mistake: it's still red. And pointed. Quaint and curious it is, to think that here of all places may be the only surviving token of Ken Anderson's murderous sea captain, the abominable Bartholomew Gore. 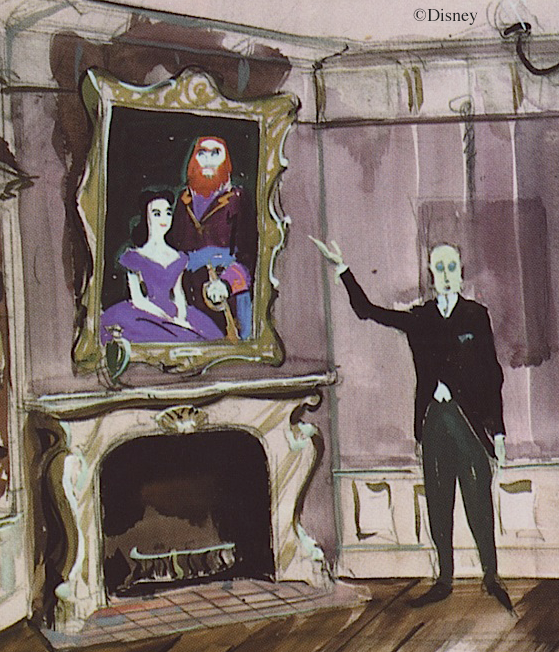 In the previous post we discussed the tableau in Anderson's oldest Ghost House in which we find Gore as "Pirate at Table," holding some sort of document. 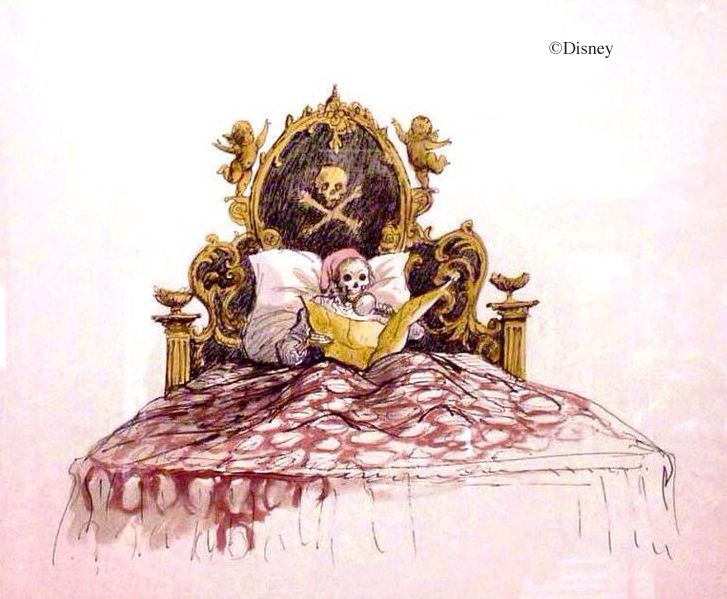 I suggested it was a treasure map. huddled over a treasure map. Over and over he drew it as part of his pirate museum walk-thru. 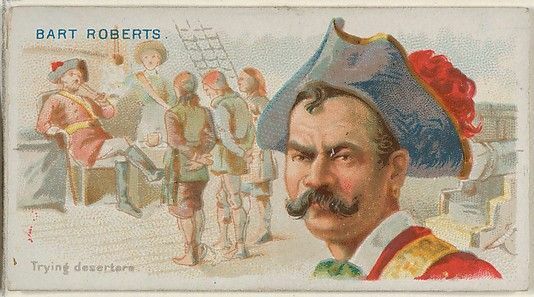 But we know that Marc was going to give Bartholomew Roberts more of a starring role here. What would he have been doing, one wonders? 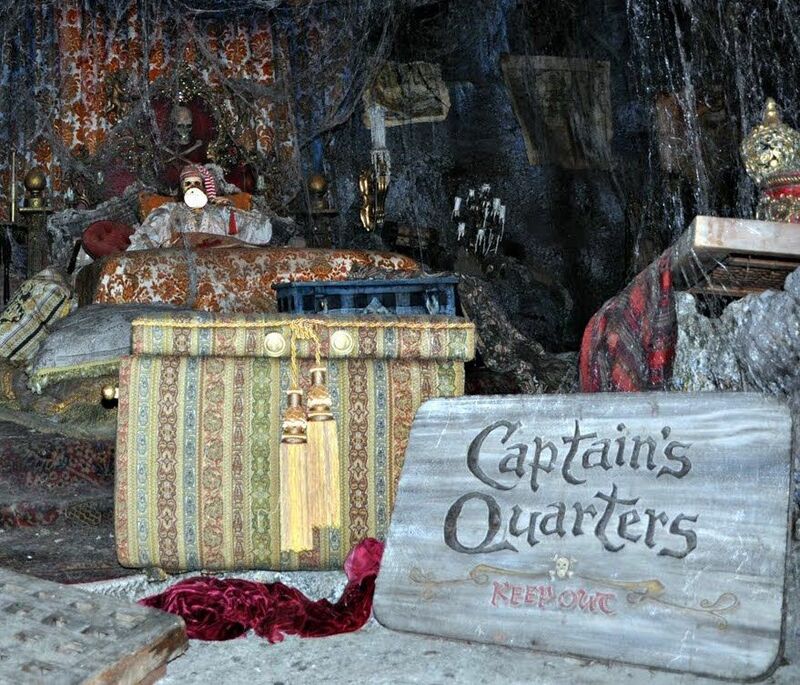 Of course, a "Captain's Quarters" scene did make it into the final attraction, featuring a single skeletal pirate diligently studying his treasure map. Hmmm. If there is any genetic linkage between this scene and Anderson's "pirate at table," the evidence we need to prove it is not available. In the end, it's just fun to think about it and wonder, and in the end, do we require any more than that?